We opened in April 2015 and were the first recreational only dispensary in Durango. We started because of the owner Joel and his business partner Brain, both Fort Lewis Grads, were living in Durango for a long time and wanted to sustain themselves. Brian worked in the I.T. 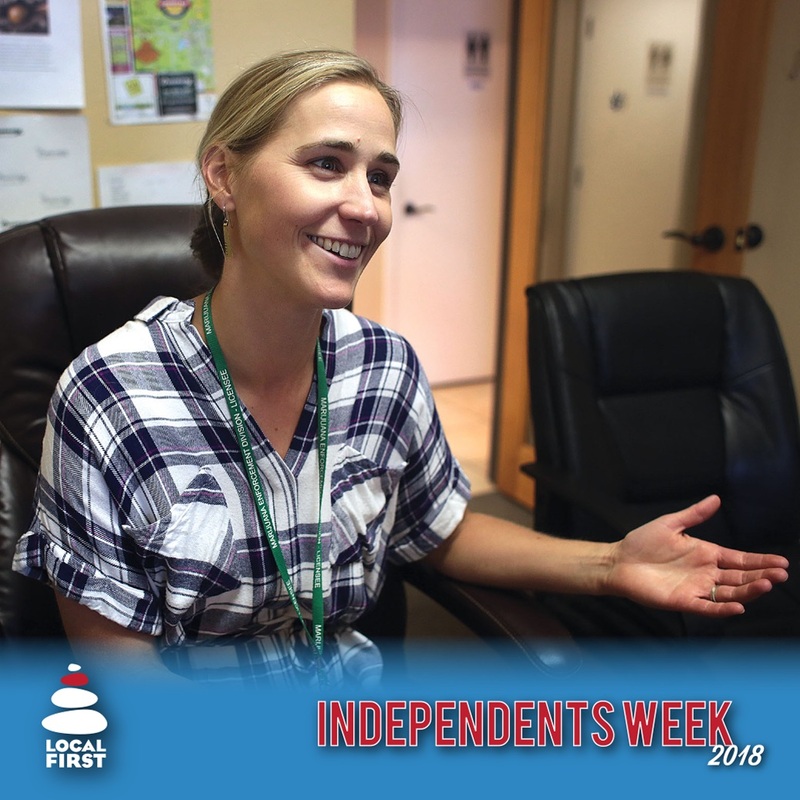 industry, Joel worked at Chinook and Mercury, and they wanted to do something that would give them independence and give them a living wage to keep their families living in Durango and support their Durango lifestyles. Opening a business like this is a lot of work. They worked their butts off for years to get to the point where we could open our doors and our whole goal was to not only create a living wage for them but for other people in this town. So right now we have 19 employees that we can all pay a living wage to. Chains are popping up now around Colorado and even in Durango, what are you able to offer that those chains may not be able to? I believe that we are uniquely Durango. Everybody that’s on the floor loves to be here. We work for less than we might in the big city because we love Durango and we want to be here. We also do hash and we have our own grow facility as well, we grow just for our store, but the hash is grown for the whole of the state, and again it’s uniquely Durango. We’re very down to earth, we’re very transparent, and we just want to represent our town. People who walk in our doors from out of town love it here because they say it’s so welcoming and friendly and I think that’s a reflection of Durango. Why have you chosen to remain Independent? I think that when you’re small and independent you are your own authority so we get to make decisions based on our community and the people here. For instance, the fire right now, we’ve seen a slow down in our tourism, but we’re able to adapt and adjust and do what works best to keep our employees safe and paid and the rest of the team safe and paid in times like this. Where I think a lot of times when you’re corporate they have this, big macro view and they’re missing the mirco levels. We’re so inclusive, we’re such a small, tight team that we’re able to just adapt and evolve accordingly and with our community. Is there anything The Greenery is particularly passionate about when it comes to involvement in the community? Our annual big sponsorship is Animas River Days, we’re always the main sponsorship for that and that goes back to the owners and their love for the river and his love of kayaking and kind of why the Durango Greenery came to fund the of the love of kayaking and for the river. So we sponsor that and we just give stuff away. We give away sunglasses, stickers, koozies and it’s just our chance of being in our community to say ‘we’re here, we love you, thanks for everything’. This is just such a great community for us. Then we do a bunch of other little events and we’re always trying to do something to give back to the community. So right now we’re doing a sale on concentrates called wax and sugar wax. It’s $15 plus tax and all the proceeds we’re donating to the community emergency relief fund. I love that organization because it goes to locals that have lost wages right now. So little things like that, we always try to donate. We like to give back, and I wish we could more, but it’s hard for us. It’s particularly challenging for us because nothing we do can be tax deductible on a federal level. Essentially our federal tax rate is essentially 80%. We can’t write off salaries, we can’t write off health insurance, I can’t write off any donations. But we really love supporting all the local businesses and wish we could do it more. We are going to be open 9-5 so everyone can come in and get their goodies before our canceled fireworks. I don’t know what I’m doing personally, I have meetings scheduled, and I’ll probably work so that people can come in and get whatever they want on their day off.